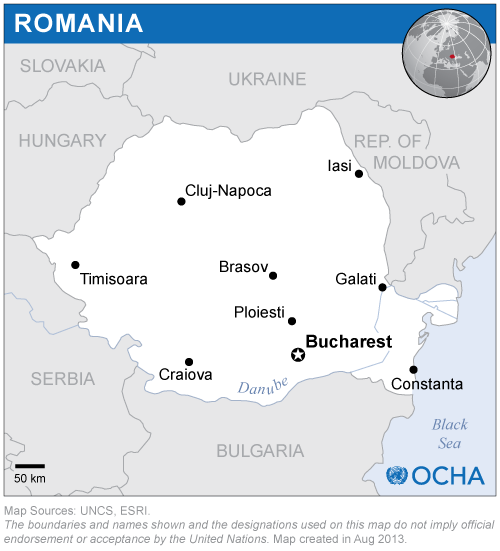 The UN-SPIDER Regional Support Office (RSO) in Romania is hosted by the Romanian Space Agency (ROSA). The cooperation agreement between ROSA and UNOOSA was signed during the 52nd session of theCommittee on the Peaceful Uses of Outer Space (COPUOS) on 4 June 2009. 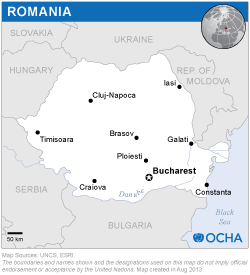 At the national level, ROSA coordinates three specialized entities: The Romanian Centre for Remote Sensing Applied in Agriculture (CRUTA), the National Meteorological Administration (METEO Romania) and the Faculty of Land Reclamation and Environmental Engineering at the University of Agronomic Science and Veterinary Medicine Bucharest (USAMVB-FIFIM). ROSA Research Centre provides GRID computing facilities: 28 cores, 84GB of RAM, aprox 1TB of storage, Globus Toolkit 4.2.0 middleware. The Knowledge-Centered Earth Observation processing system (ROKEO) integrates earth observation knowledge users with data suppliers and services providers and is a major development point for creating capacities. An integrated system of voice and data communication operates among ROSA Headquarters, IT and Research Centre. At local level, communication is realized through fiber optics, gigabit Ethernet and wireless. A router running a BGP protocol managing two Internet connections (12-100 Mbps from a commercial provider and 10 Gbps research and academic connectivity from ROEDUNET) securely operates the external link. ROSA Headquarters and Space Applications Centre (operated in common with CRUTA) are directly linked through a 100 Mbps MPLS connection. Established in 1991, by the Government Decision no. 923/ 20 Nov 1995, ROSA is an independent public institution.